FACT’s ‘Time & Motion’ installation opens with the gritty, monochrome images of Harun Farocki’s ‘Workers Leaving the Factory’ looming above us, showing a regulated form of “work life” that is steadily vanishing. 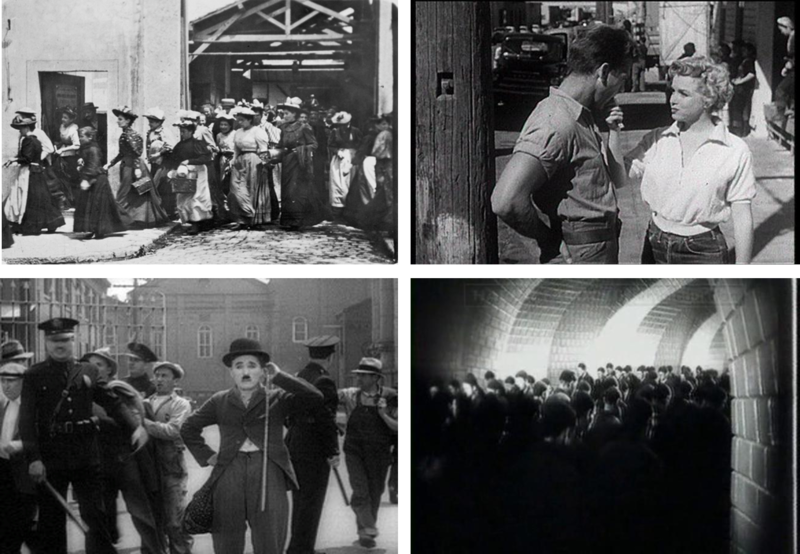 The factory emerges as a clearly defined, physical space inside which the employees exist solely as the “workforce.” The camera singles out individuals– in the form of Charlie Chaplin or Marilyn Monroe, to name a few – and follows them as they move away from the factory, shaking off their imposed “worker” identity. This is where the real narrative begins, yet in Farocki’s film, our view is restricted to this single moment of departure. As viewers, we are resigned to the cyclic repetition of leaving the factory but never fulfilling the awaited freedom. Gregory Barsamian’s kinetic sculpture, ‘Die Falle,’ plays out the unending cycle of human labour that many of Farocki’s subjects must endure. Its speed creates both an incredible gust of wind as well as a dramatic illusion in which the figures are condemned to a “Sisyphean” cycle, laboring eternally at an apparently futile task, never reaping the rewards of their work. Cohen and Tuur Van Balen’s film ’75 Watts’ shows a Chinese assembly line, where the construction of an entirely “useless” product is underway. As much as it comments on the futility of many manufactured products, it also questions the role of the worker in a global system of mass-production. Tasks are broken up to ensure that no individual is given too much responsibility, and that little skill is actually required by each worker. Ultimately, they are reduced to mindless, emotionless factors in the system as well as rendered replaceable and easily dispensable. It’s a dehumanisation that occurs not simply on the assembly line, but to each participant in the system. Electroboutique’s ‘iPaw’ highlights how an abundance of technology can make us passive consumers, while Jeff Crouse and Sephanie Rogethenburg’s ‘Labours of Love’ transforms love- the most personal and intimate of mankind’s emotions – into a crude, anonymously constructed commodity. In ‘Workers Leaving The Googleplex,’ ex-Google employee Andrew Norman Wilson reveals a class hierarchy that is ruthlessly preserved by the managing classes. His attempt to document this system, with a focus on the “fourth class” “yellow-badged ScanOps,” led to his expulsion from the company. As in Farocki’s film, Wilson captures these workers exiting the building at the specific time authorised by their superiors. The work of these employees “requires no cognitive involvement with the content of those materials. The labor process is quite Fordist – press button, turn page, repeat.” Capturing the shift in labour from the “industrial proletariat into the informational proletariat,” it highlights that despite technological advances, little has actually changed for the workers, whose only possession of significant material value is still their labour-power. 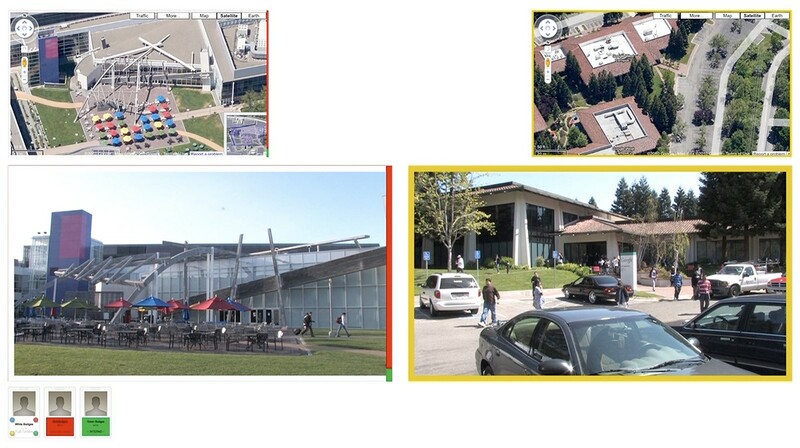 An adjacent screen shows the building of the higher Google “classes,” who are free to exit when they choose and roam the complex’s facilities, which the ScanOps are prohibited from using. This elitist hierarchy mirrors that present in the 1927 German dystopian film, shown in Farocki’s piece, whose workers live in murky, underground settlements while high above the futuristic city reside the administrators reside in their stately towers. These short films by Farocki and Wilson dominate the two galleries in their central location and loud narration. Although a century apart in content material, during which the working environment, tasks and commodities have all been transformed, the experience inherent to the worker has barely changed.